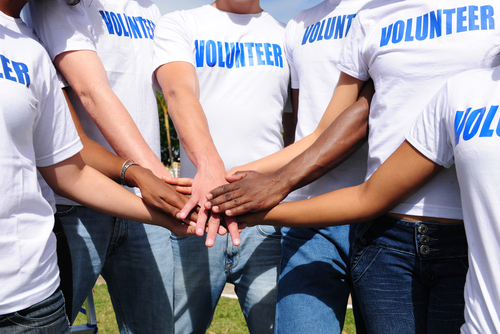 As a nonprofit organization, most of your workforce is probably comprised of volunteers. These individuals devote their time and energy to help the community through your organization. Though these individuals offer their services without expecting compensation, they still require supervision to ensure that their jobs are done correctly. Furthermore, it is important for your organization to manage its volunteers to minimize the risk of harm to the community members you serve and the volunteers themselves. Strict liability: The need to determine negligence is not necessary because responsibility for inflicting harm is automatic. As a nonprofit, it is essential for your organization to develop a training program for its volunteers. The individual program will depend heavily on the position the volunteer holds, the experience he or she brings to the role, the needs of community members he or she serves, and your organization’s policies. While in the training program, volunteers should be given a safety handbook outlining your organization’s policies. Further, he/she should sign a waiver after reading through the organization’s policies and procedures. ·An official welcome to the organization and education on the history, mission statement and services provided. Outline the goals of the organization and the specific needs of the community members to be serviced. · Provide an overview of the skills and responsibilities required for the position. If special equipment is used, a supervisor should teach the volunteer how to use it until the volunteer feels comfortable. ·Explain the organization’s policies and procedures such as reimbursement policies and sexual harassment training. ·Conduct a safety briefing that covers how the volunteer can protect him or herself and community members from danger and injury while representing the organization. After volunteers complete the training program, it is essential that your staff members continue to monitor and manage them throughout their tenure at your organization. Ensure that your staff members feel comfortable delegating responsibilities to the volunteers and correcting them if they make mistakes. Furthermore, if a volunteer acts inappropriately, advise the staff members to dismiss the volunteer before he or she inflicts harm onto another person or him or herself. On another note, provide motivation to your volunteers to work hard for the community. Encourage them and praise them for giving it their all. In addition, provide them with a t-shirt, hat or poster as gratitude for their hard work. · A description of all volunteer positions that describes the tasks and duties expected. · Maintain and distribute a volunteer safety handbook for use during training. · Establish a grievance policy in the event that volunteers are dissatisfied while working for the organization. · Ensure that all volunteers sign a waiver that acknowledges the organization’s policies. · Establish disciplinary standards for volunteers. · Train all staff members and supervisors who come in contact with volunteers on how to interact with them. Carriage Trade Insurance is heavily involved in a number of nonprofit organizations. Contact us today to learn more about how we can protect your organization with proper Nonprofit Insurance.